In a 1925 home designed by modernist architect Rudolph Schindler, a tiny bathroom gets a big and bold renovation. In 1925, Austrian-American modernist architect Rudolph Schindler designed the Levin House in the Los Feliz neighborhood of Los Angeles. Located just across the street from Richard Neutra's Lovell House, the home and its former servants’ quarters (today used as a guest house) display Schindler’s characteristic use of multiple complex planes, striking colors, and warm, textured materials. 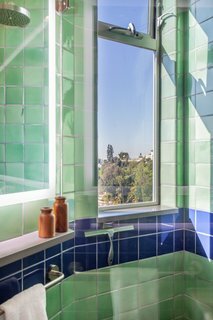 Stephanos Polyzoides restored the home in 1984, and Taryn Bone of Bone Collective Studio recently renovated its guest bathroom. Standard American vanities and sinks wouldn't fit in the small space, so Bone selected a sink from European manufacturer Duravit. At just 27 square feet with a floor covered in shag carpeting, the bathroom was small and outdated. Bone approached the challenge with proportion and color while sticking to a $34,800 budget. Inspired by Schindler’s ideas about planes, she used a combination of tiles to create a datum line throughout the space, and she opened up the shower area with a glass partition instead of a bath tub and shower curtain. A Corian shelf and window sill are aligned with the top of the blue tile that runs across the bathroom walls. 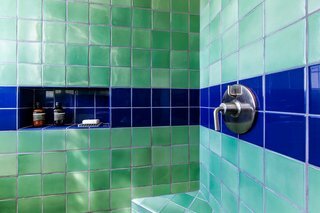 Bone paired handmade glazed green tile from Classic Tile and Stone in Santa Monica with blue American Olean tiles to create a datum line that includes a shower niche and a shelf. 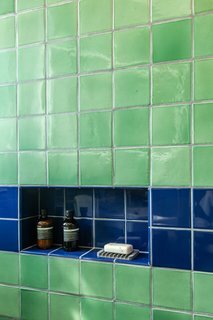 The texture of the tiles allows them to reflect light, and their handmade individuality brings a sense of craft to the space. 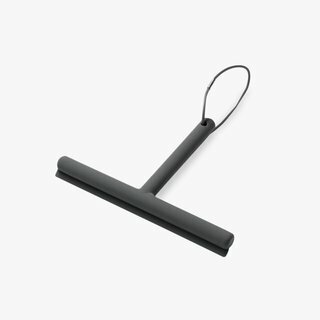 The floor tiles are set in a different scale, further emphasizing the distinct planes in the bathroom. 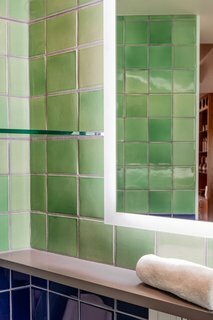 The handmade tiles provide just the right amount of light reflection while giving the bathroom a handcrafted touch. Due to its small size, the bathroom needed a scaled-back sink and vanity from a European manufacturer. Bone offset this tradeoff with a large mirror with integrated LED lighting from IB Mirrors. 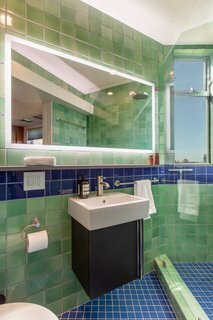 The oversized mirror makes the space feel large and bright, despite the strong tones of the tile. A shower niche houses toiletries for guests, who sometimes stay for several weeks at a time. Made of fragrant Hinoki cypress wood, this soap dish is reminiscent of the woods of Kochi prefecture. 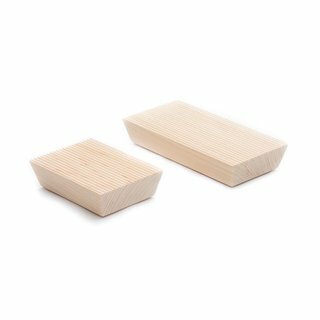 This Hinoki Soap Dish is ideal for holding your soap bars. What it is: A lifting formula that lends body to fine or flat hair. What it does: It's formulated with polyquatenium, which assists the separation of hair shafts, creating body and boost for fine, thin and flat hair. 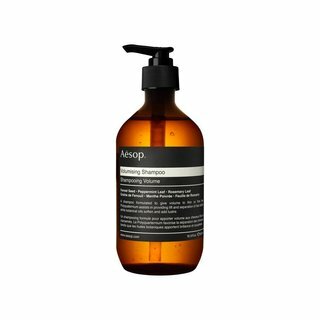 Botanical oils thoroughly cleanse, delivering luster and rich hydration to hair. Bone relocated the showerhead and swapped out the bathtub and shower curtain for an open shower with a glass wall. This opened up the space to take advantage of natural light that streams in from the window.